YOUR GIFT TODAY WILL HELP BRING A BRIGHTER FUTURE FOR HER TOMORROWS. 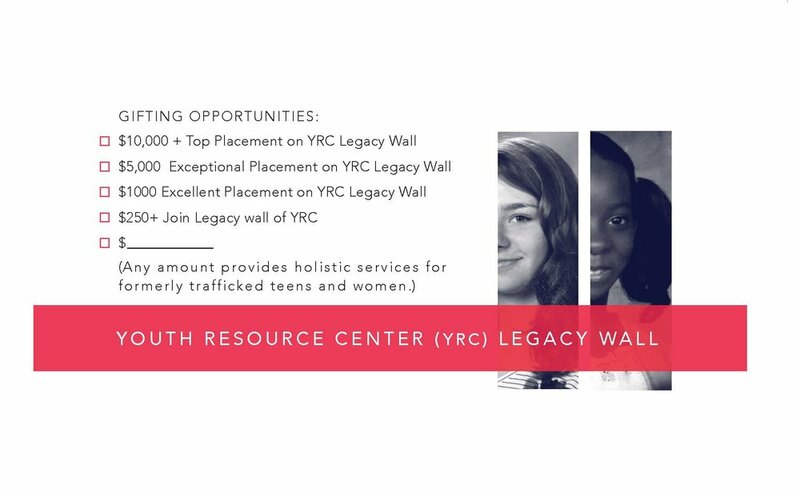 Your gift of any amount provides holistic services for formerly trafficked teens and women. Please designate your funds to Youth Resource Center.